How do we practice alternative medicine? What is alternative medicine exactly and isn’t the real question—what is the best way to practice medicine? There must be a right way and a wrong way to practice medicine. The concept of malpractice sustains this belief. Medical malpractice kills 500 times more Americans than accidental gun deaths do. An eight-year study from Johns Hopkins found that there are at least 250,000 deaths due to malpractice in America each year. Other studies have found such deaths surpass 400,000 per year. We also know that over 100,000 Americans die each year from properly prescribed medicines. As presently defined alternative medicine is the practice of anything other than mainstream medicine, which really means pharmaceutical medicine and other foul things like nuclear medicine and vaccine medicine. I created Natural Allopathic Medicine not to be an alternative to modern medicine but as a replacement for it. It makes sense to replace a vast killing machine for something safe and effective. Wikipedia lumps together, “Alternative medicine, fringe medicine, pseudomedicine or simply questionable medicine is the use and promotion of practices which are unproven, disproven, impossible to prove, or excessively harmful in relation to their effect — in the attempt to achieve the healing effects of medicine.” Yet we know most of modern medicine is dangerous and rarely does the word healing go with western medicine. What we know is that hordes of people are laid low, disabled, made miserable or outright killed by our poison happy western medical industrial complex. Over 30 percent of Americans use some form of non-conventional medicine, according to the National Center for Complementary and Integrative Health. Others say that about 40% of adults in the United States say they use some form of alternative medicine. Complementary and alternative medicine, sometimes referred to as CAM, is an umbrella term for a vast array of treatments that fall outside conventional Western approaches. Some have been well-studied and proven to be effective; others have not. It is hard to believe when someone writes that all conventional cancer treatments, such as chemotherapy and radiotherapy, must go through rigorous testing by law to prove that they work. 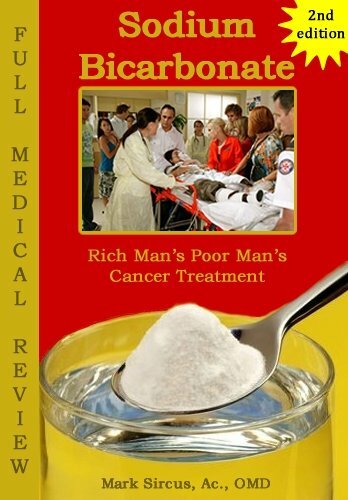 There is no such proof; and it is no secret that toxic cancer treatments do not end well. Pharmaceutical cheerleaders like to say that most alternative therapies have not been through such testing and there is no scientific evidence that they work. And they love to say that some types of alternative therapy may not be completely safe and could cause harmful side effects. What they hide from the public as much as possible are how many children get hurt from vaccines and how many people are legally murdered. One must leave it up to each person to decide what to believe in and who to trust though some are very aggressive and would force people to choose. Vaccines are forced into babies and we all know how oncologists feel about alternatives to chemo and radiation treatments. The truth, however, is that alternative medical practices are gaining traction in the U.S. and around the world as modern medicine’s reputation is dragged through the mud. One of the main points to make about alternative medicine is that most often it is a mosaic of many different practices and viewpoints but not tied together into a comprehensive whole like western medicine is. There are of course professionals like acupuncturists, chiropractors, homeopaths and naturopaths that do offer comprehensive approaches but differences in practice and theory prevail. Whole medical systems involve complete systems of theory and practice that have evolved independently from or parallel to allopathic (conventional) medicine. Many are traditional systems of medicine that are practiced by individual cultures throughout the world. It has been my belief that there is a right way, a universal medical path that eventually everyone can agree on and follow. Something so solid and basic that in a thousand or even a million years its truth will remain self evident. What is so universal and constant that such a thing could be said? 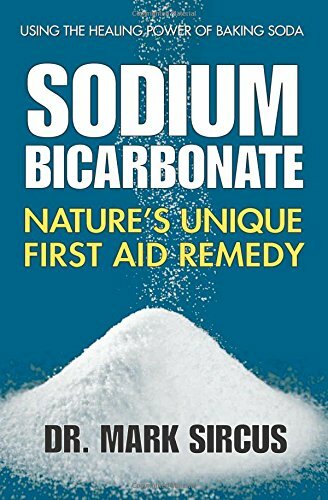 Sodium Bicarbonate - F... Dr. Mark Sircus Check Amazon for Pricing. Hydrogen in the sun being burnt up as fuel is one such thing. Oxygen being necessary for life is another. That carbon dioxide controls the very foundation of health is yet another. The list goes on that will never change for healthy cell life. One cannot live a good long life if one is deficient in essential minerals like magnesium, iodine, selenium, sulfur and bicarbonates in the blood so does it not make sense to lay the foundation of sane medical practice on such absolute necessities of biological life? With a car we only must worry about gasoline, oil, water and electricity to maintain function. In humans we must worry about fifteen main factors, instead of just these four for your car. However, even with fifteen principle medicines and therapeutic processes like infrared, it is not that much more difficult to understand and practice Natural Allopathic Medicine than it is to pump gas or ride a bicycle. Alternative or complementary medicine is dangerous because it may discourage people from getting the best possible treatment and may lead to a false understanding of the body and of science is the kind of garbage we too often read. The powers that be have poured considerable resources and effort into painting illusions about modern medicine. They’ve poured $billions into false information so that people will continue to willingly accept the abuse of medical treatment. The elites along with the compliant corporate-controlled media, have committed vast sins of omission in the narratives they promote or suppress about subjects that can make the difference between life and death.